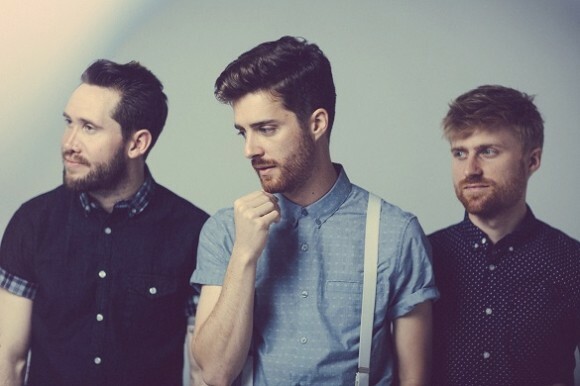 Self-described piano pop group Jukebox the Ghost recently released a new single, “The Great Unknown,” in preparation for the release of their fourth full-length album this summer. The album name has not yet been announced, but it’s sure to hold all the magic that has catapulted JTB to fame since the release of their debut album “Let Live and Let Ghosts” in 2008. “The Great Unknown” has a cohesive theme and singular message that each lyric supports- a marked change from earlier work that may whimsically cover several different courses of content in a single track. On writing the song, lead singer and keyboardist Ben Thornewill remarks that he “didn’t mean to write a song with a message,” but he’s “glad it’s working out that way.” The sound and subject matter are more down-to-earth than the rest of the band’s material, but Thornewill’s recognizable vocal talent brings an energy to the piece that is as yet unmatched in today’s mainstream pop music. “It’s more of the same I guess, but we’ve matured a little bit,” he tells fans. JTG dabbles in a new wave style of pop that often features ragtime-style piano as a main component of the instrumental make-up. Thornewill himself was trained in classical piano as a child, and the instrument seems to mean quite a bit to him; he thinks any music that incorporates noticeable piano sounds should be classified as a certain type of piano music. Contradicting himself however, he says “in truth, it doesn’t matter” what genre an artist’s music is as long as they stay honest and passionate about their work. Thornewill and bandmates Tommy Siegel and Jesse Kristin are “three different people from different backgrounds with different physical tastes,” which creates a type of music that defies concrete classification. “Bands don’t make sense, it’s insane,” he says laughingly, but somehow the trio of long-time friends manages to get along. He finds it difficult to pinpoint artists that have influenced the music he makes and the lyrics he writes: “that really goes on a song-by-song basis,” he says, “there’s not some great stylistic agenda.” If the band were to completely start over however, he thinks they all would try to find more cohesive perspective on the sounds they create. Overall, there are three different sides to JTG’s musical style, each shining brightly in its own way on different albums and in different songs. “The Great Unknown” is a perfect example of a track that finds energy in rapid rhythms from Thornewill’s piano and Kristin’s drum set. Indie-alt influences arise in tracks like “Good Day” on Let Live and Let Ghosts with heavier electric guitar riffs and similarly in “Oh, Emily” from latest album Safe Travels that features more traditional drum cycles. Jukebox the Ghost’s sophomore album, Everything Under the Sun, shows the band’s mellow side at times; the vocals and instrumentals of “Nobody” and “Summer Sun” are low-key and basic compared to the feverish sounds and melodies of tracks like “Adulthood,” a popular song off of Safe Travels. Candace Carter is an associate editor at Gadfly Online and really loves her job. She’s a student at the University of Virginia, even though she got a C in Algebra in eighth grade. Hobbies include doing the dishes and drinking bubble tea.